The Roads Car Accident Lawyer at the Wolfson Law Firm is located at SW Third Avenue in The Roads which is one of the older and more prestigious neighborhoods in Miami. It was first named "Brickell Hammock”. 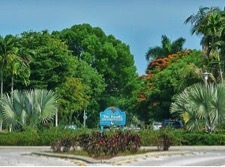 In January 1922, the community was developed, platted and designed by Mary Brickell. It is mainly a residential neighborhood. The Roads is west of Brickell; south of Riverside, east of Shenandoah and Coral Way; and north of Coconut Grove. Unlike most of Miami, most of the streets located in The Roads are actually named roads as opposed to streets and avenues. Unfortunately, those roads are in Miami and that means car accidents happen frequently. The Wolfson Law Firm has car accident lawyers serving The Roads. One intersection near the office has five points of entry where Coral Way (SW 22 Street), SW 12th Avenue and SW 3d Avenue all come together. Car crashes occur there on a regular basis and many people require a car accident attorney in The Roads. Some accidents come from a failure to obey traffic signals by running a red light or making a left turn when it is not allowed. Other crashes are caused by rear end collisions when a driver stops suddenly or not quickly enough. The Roads is primarily a residential area. As such, there are a fair number of pedestrians, baby strollers and bicycle riders. Florida law is clear that the rules of the road must be observed and obeyed by motorists, pedestrians and cyclists alike. But as a car accident attorney in The Roads can attest, motor vehicles are also considered “dangerous instrumentalities” under Florida law. Florida's dangerous instrumentality doctrine is based in common law. Under this doctrine, if someone owns an inherently dangerous tool and it causes injuries then that owner is liable. In the case of Southern Cotton Oil Co. v. Anderson, 80 Fla. 441 (Fla. 1920), the Supreme Court of Florida extended the doctrine of dangerous instrumentality to motor vehicles. The Court held that motor vehicle owners may be held liable for any damages sustained by other drivers, pedestrians, bicyclists, motorcyclists or any other third person. Car accident lawyers in The Roads know that if a vehicle owner gives permission and consent to a driver that negligently operates their vehicle, then the owner is responsible. Stated more broadly, If a vehicle owner permits and authorizes a dangerous instrumentality, like a motor vehicle, to be used by another person, then the owner is responsible for injuries and damages caused by the permitted user’s negligent operation of that particular dangerous instrumentality. In fact, the dangerous instrumentality doctrine charges the owner with strict vicarious liability. Vicarious liability is a legal concept that charges liability for an injury to an individual who did not directly cause the damages but has a certain relationship to the individual who acted negligently. It has also been called “Imputed Negligence”. The Roads Car Accident Lawyer offers common examples include the owner of a car is vicariously liable for the driver of their car so long as the driver had the permission of the owner. Another example is an employer being vicariously liable for the acts of their workers if they are negligent in the scope and course of their employment. When someone chooses to violate the rules of the road, there can be catastrophic results. Drivers involved in a car wreck can be seriously injured or even killed. Pedestrians and bicyclists are at a greater risk of injury or death because they are exposed to direct contact and have little or no protection from serious injuries. It is important to get proper medical treatment as soon as possible following any accident, crash or wreck. It is also critical to get the advice and counsel of a car accident lawyer in The Roads to help guide you through the process of recovery and healing. The Wolfson Law Firm has been representing car accident and injury victims since 1963. Call us today at (305) 285-1115 and let us help you.